The Dacia Sandero has already established itself as a new car favourite, thanks to low list prices, and a super-high value proposition. But CAP has confirmed that over three years and 60,000 miles the entry-level £5995 Access 1.2 16V is the UK's 'least depreciating supermini', although not in percentage terms. The new figures should dispel any myths that one of the newest superminis available in the UK might not stack up financially after the shine of its alluring showroom price tag has faded. It’s also the UK’s most affordable new diesel car. So though it retains only 40% of its list price when new, the owner will only have lost £3615. The 1.2 Laureate is forecast to be worth 36% after three years - 6% more than Skoda’s Fabia 1.2 12V SE, and 8% more than a Suzuki Swift SZ3 1.2. Put it another way, the Swift has a P11D value of £12,444, but is forecast to lose £8919 over three years/60,000 miles. If you bought the Dacia Sandero 1.2 Laureate instead, you’d be better off to the tune of almost £4000 after three years. In positive contradiction, Glass’s Guide believes the Sandero Access will hold onto 57% of its value over the same period. In real money, it’ll still be worth £4470. A drop of only £2370 over three years and 60,000 miles. 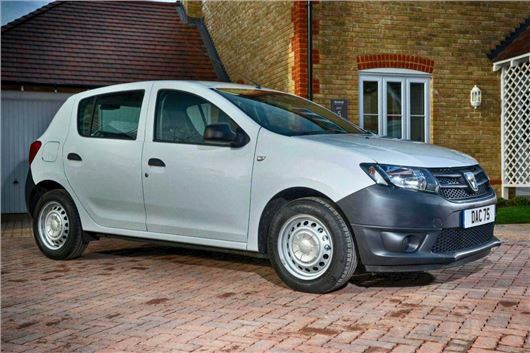 The latest news comes only weeks after it launched its latest two models, Sandero Stepway and the five-seat estate, Logan MCV across the UK.